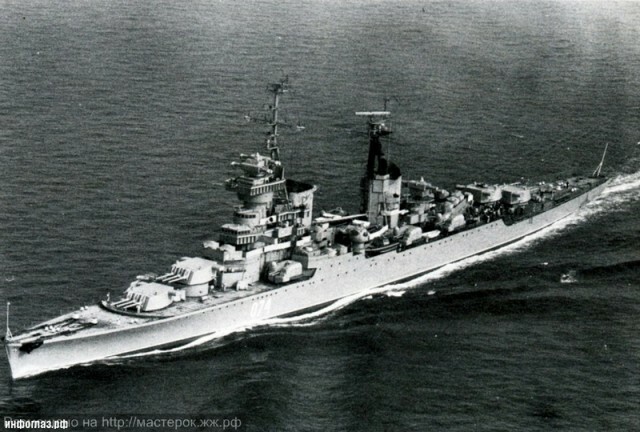 Murmansk was a light cruiser project no. 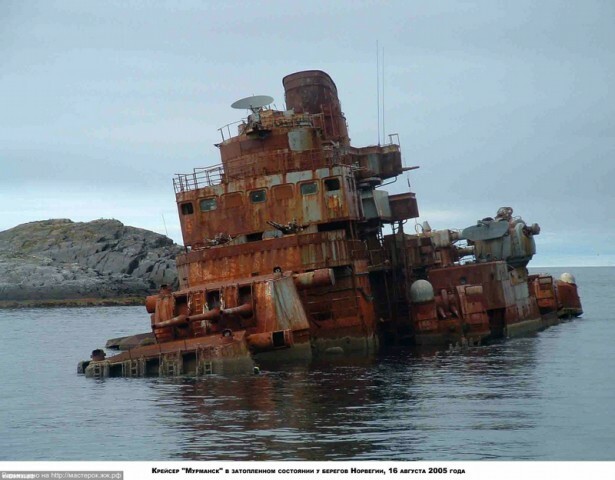 68-bis of the Soviet and later the Russian Navy’s Northern Fleet. 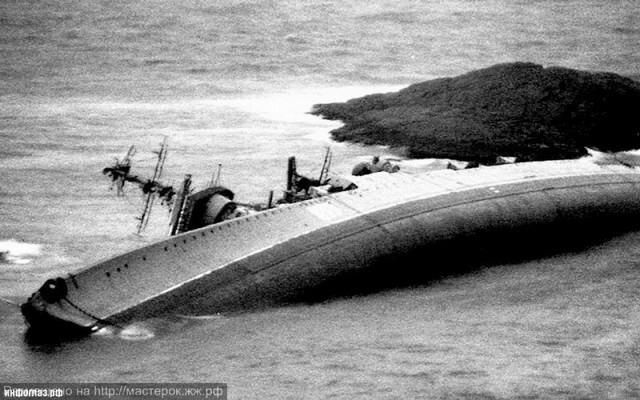 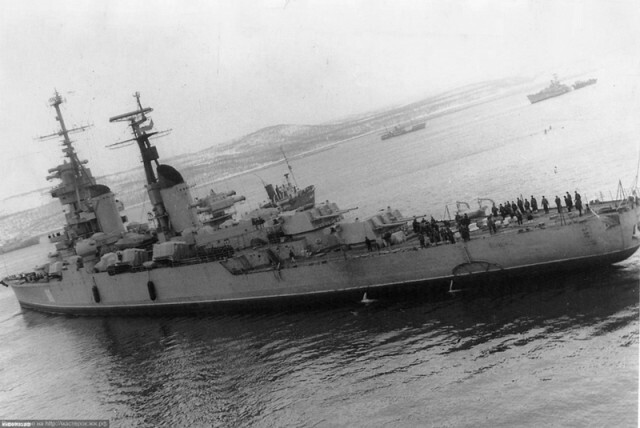 She was laid down in Severodvinsk in 1953 and commissioned on 22 September 1955. 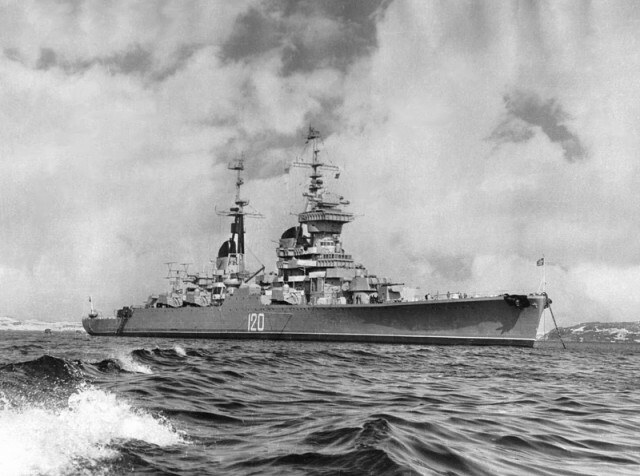 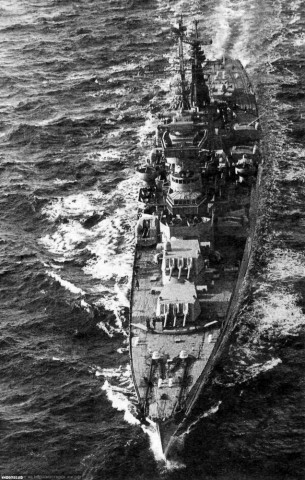 The Murmansk joined the 2nd Cruiser Division on the division’s formation in 1956. 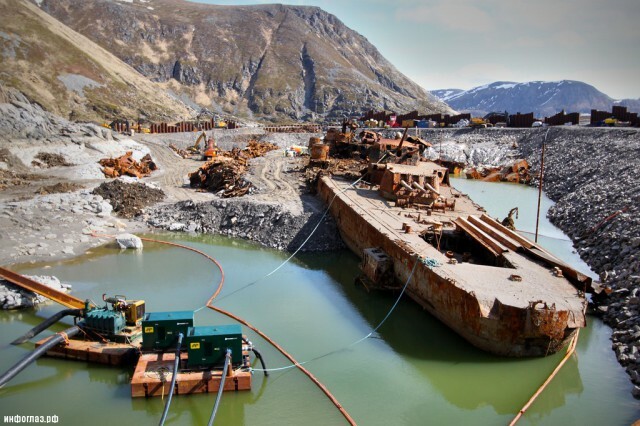 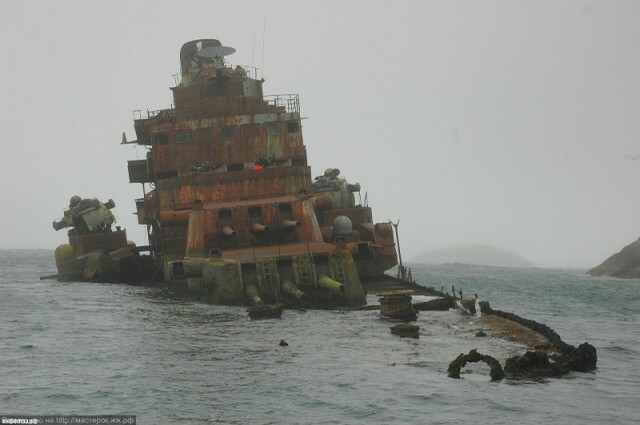 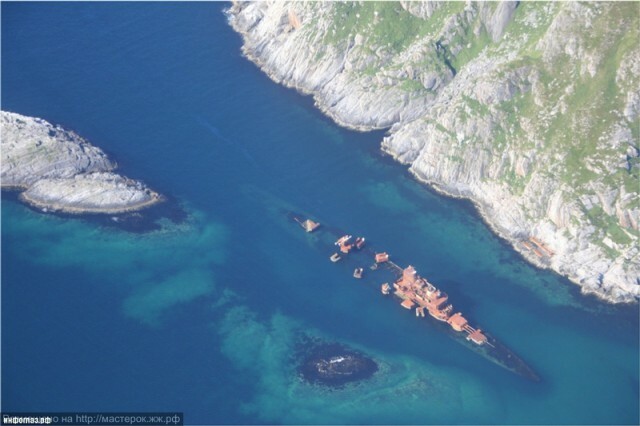 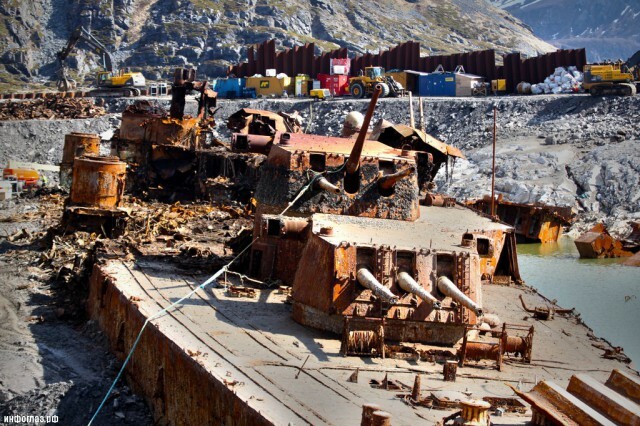 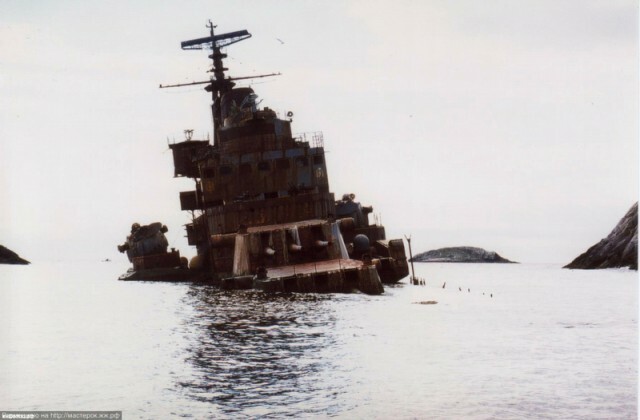 In 1994 she was sold to India for scrapping but ran aground off the Norwegian village of Sørvær during the transfer. 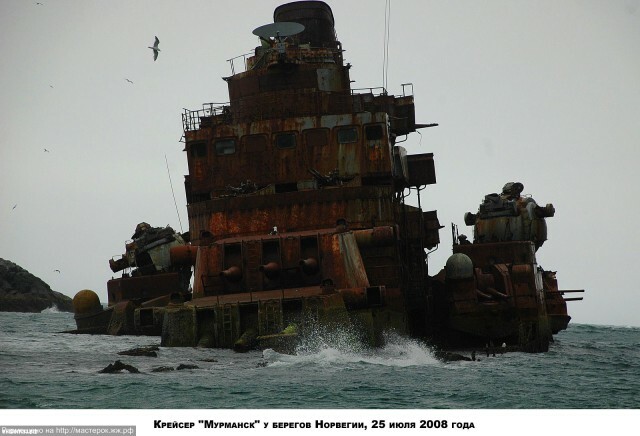 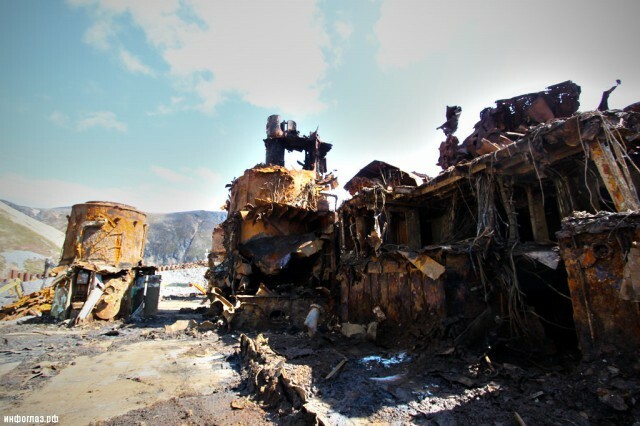 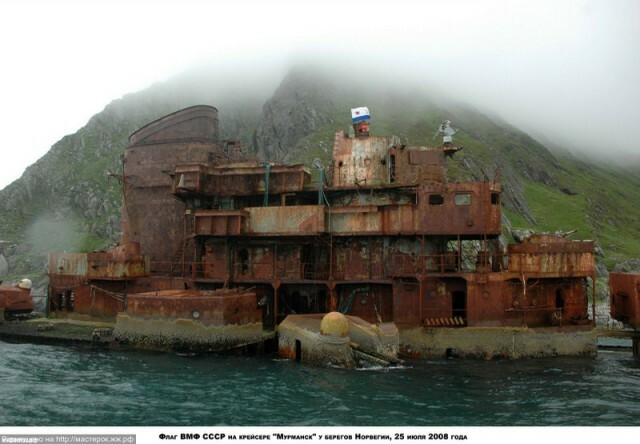 It was first estimated that the winter storms would destroy the parts of Murmansk above the water, but in 2009 funding was allocated to pay for the dismantling of the vessel. 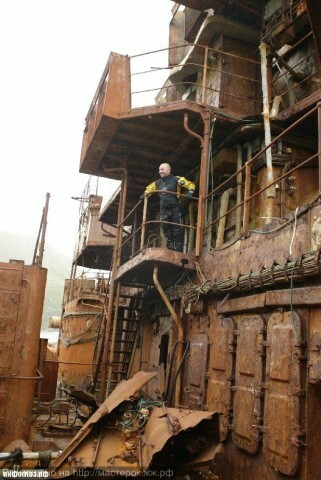 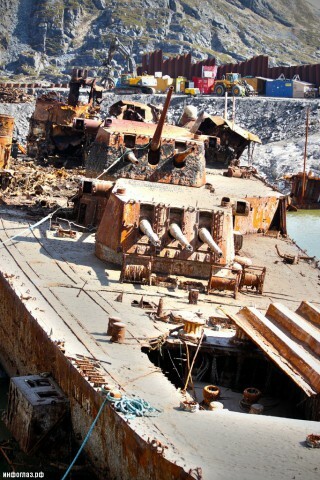 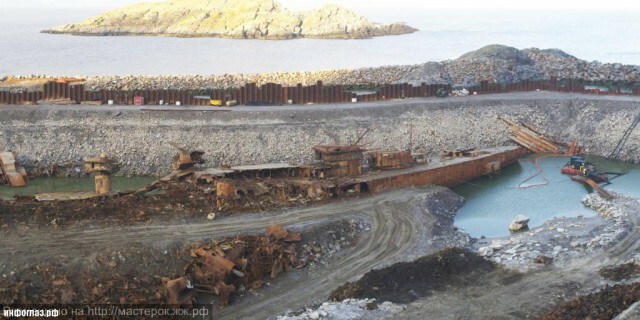 Since the ship was in very bad state when the decision to remove it was done, there was no possibility to tow it. 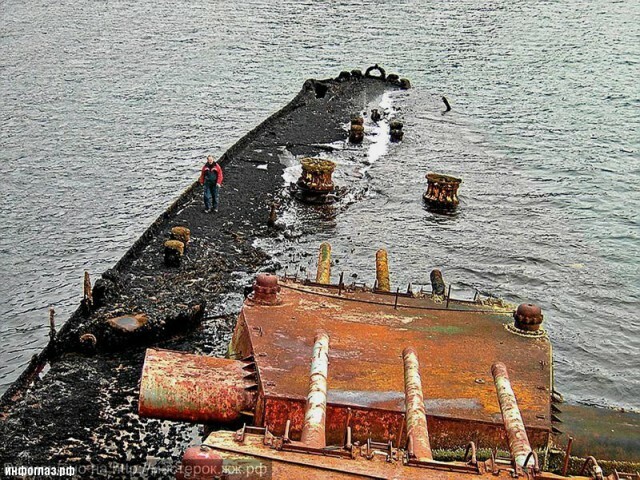 It had to be removed piece by piece. 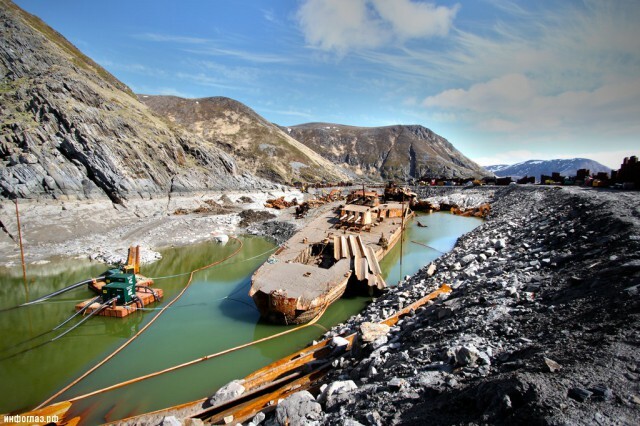 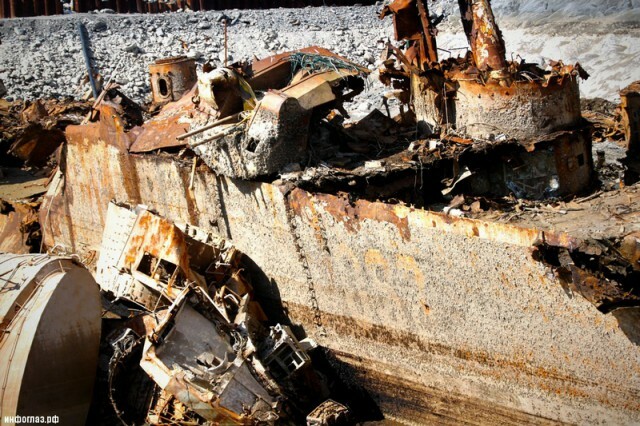 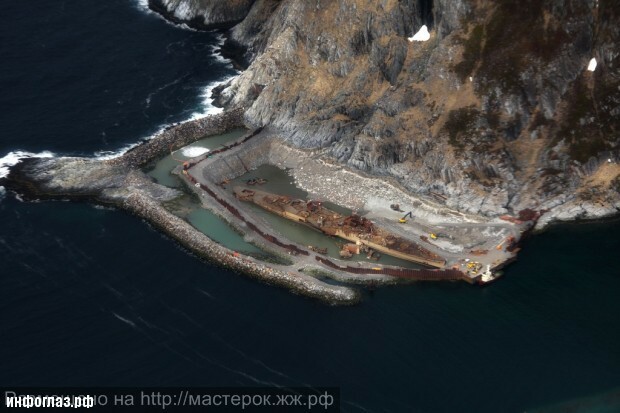 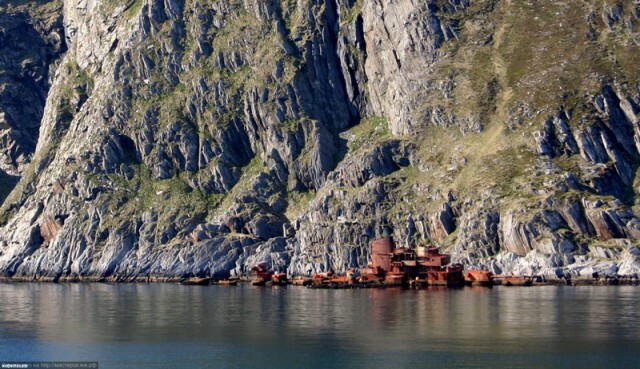 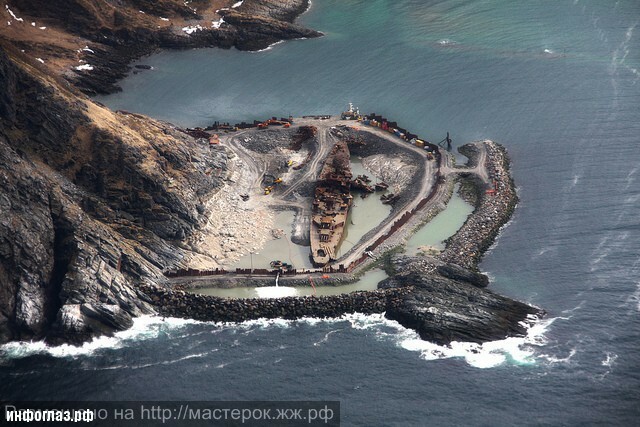 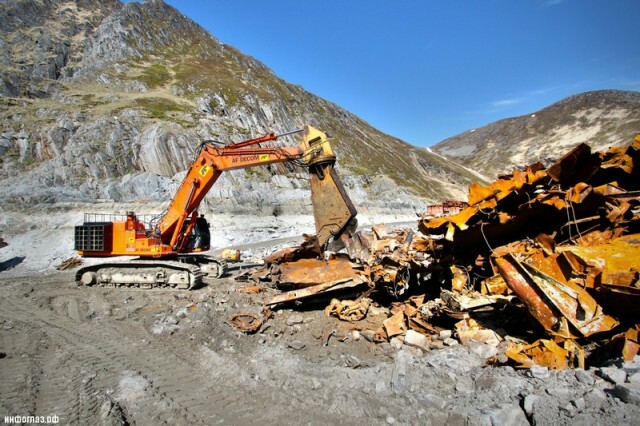 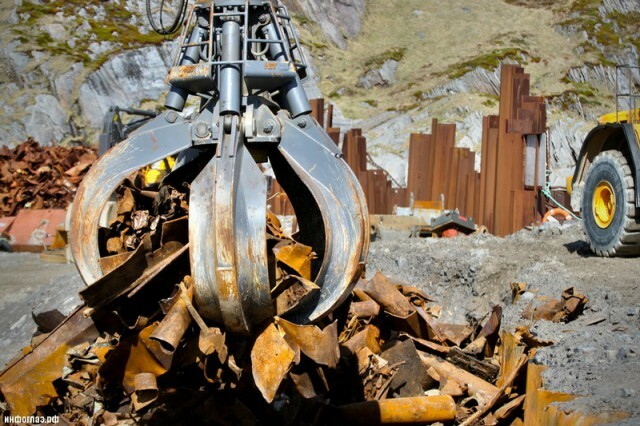 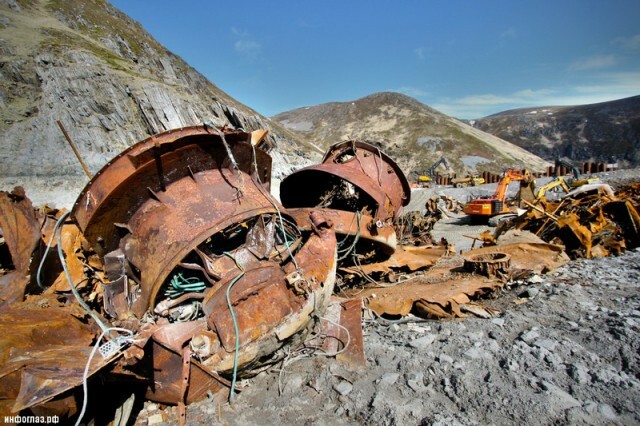 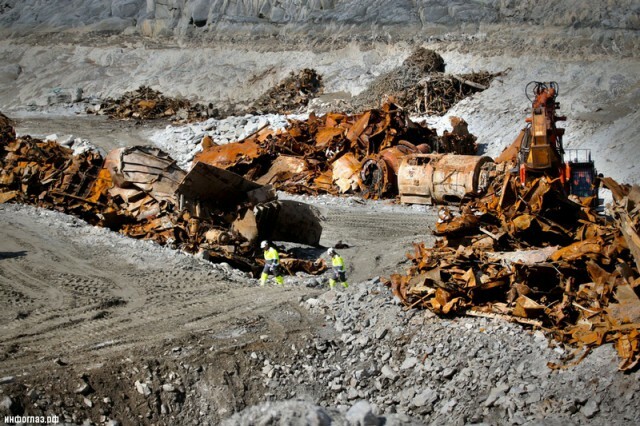 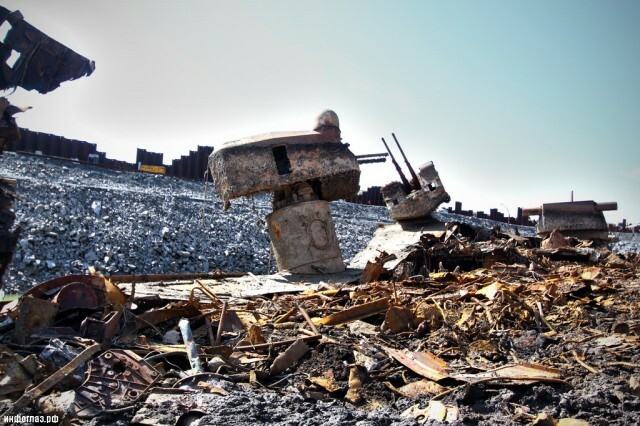 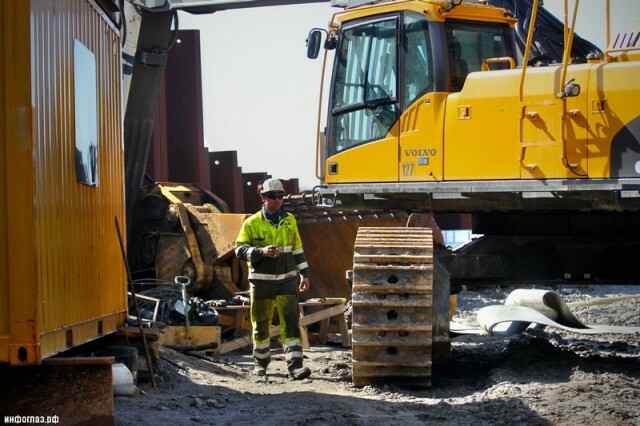 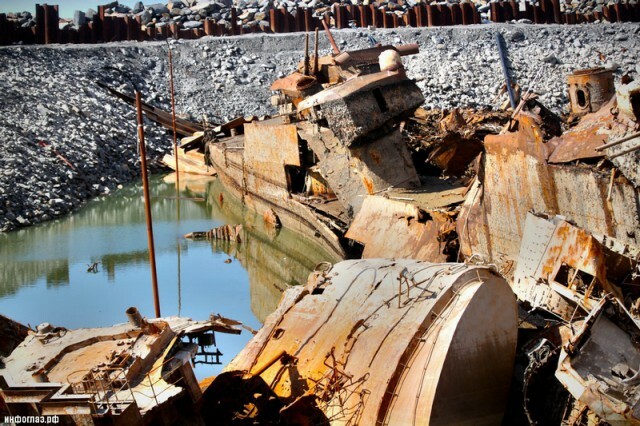 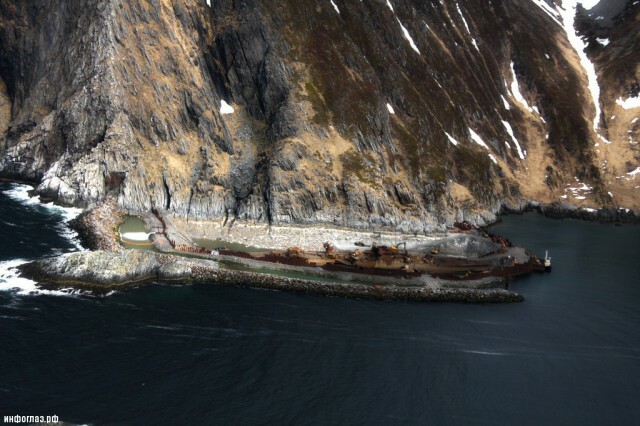 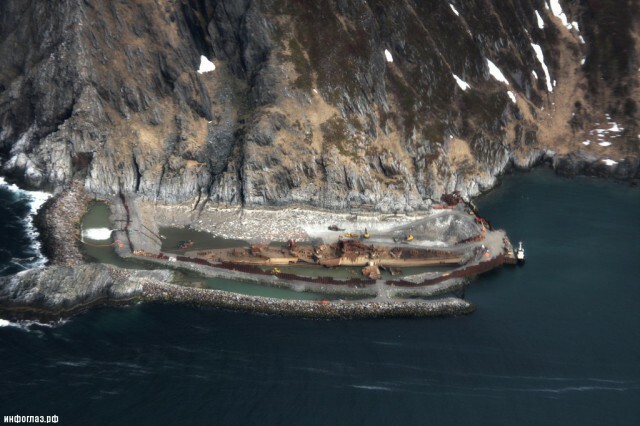 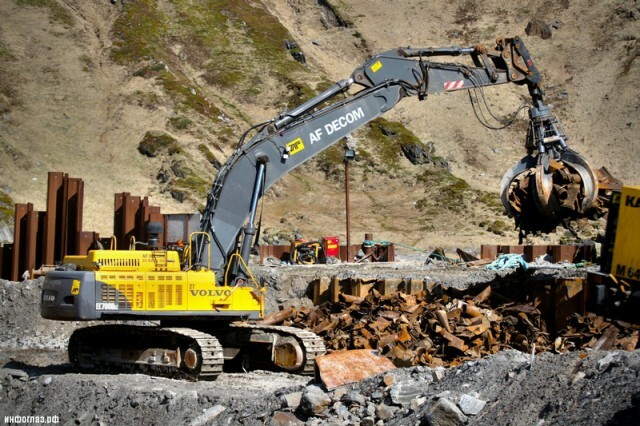 Scandinavia’s largest demolition contractor, AF Decom, constructed a massive breakwater and dry dock around Murmansk to access the shipwreck from land and demolish it where it rested. 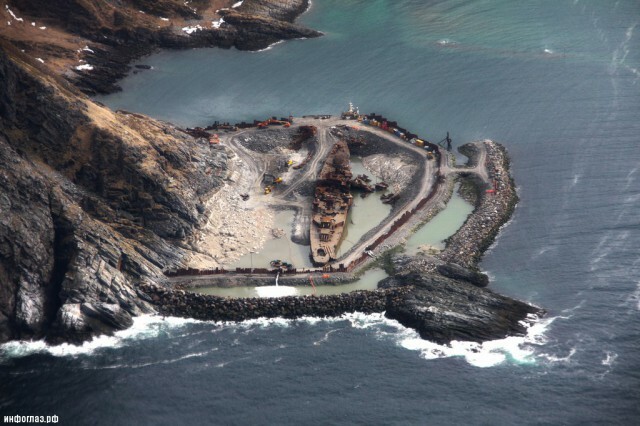 The dock around the wreck was sealed in April 2012. 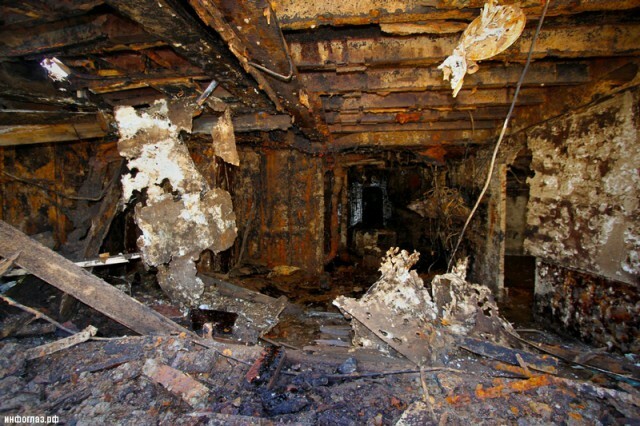 By mid-May the dock was almost empty of water and the demolishing of the cruiser began. The project was completed in 2013. 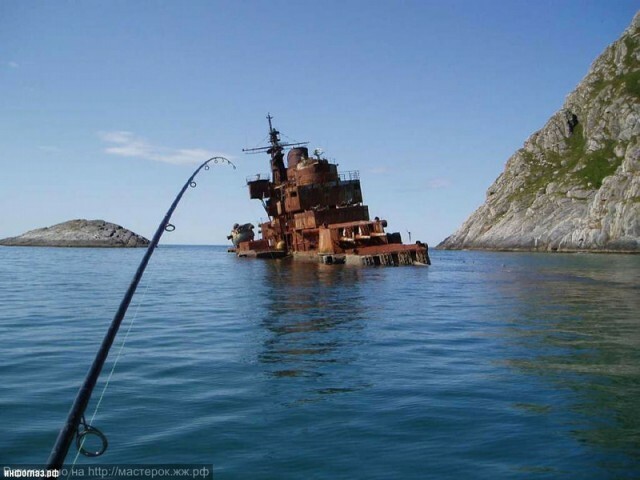 There is a dispute about possible radioactive substances within the ship. 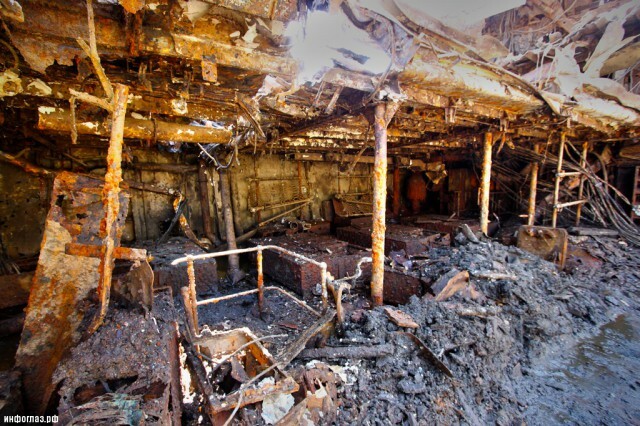 Some claim that the substance found is Polonium-210, which has a half-life of 138 days.